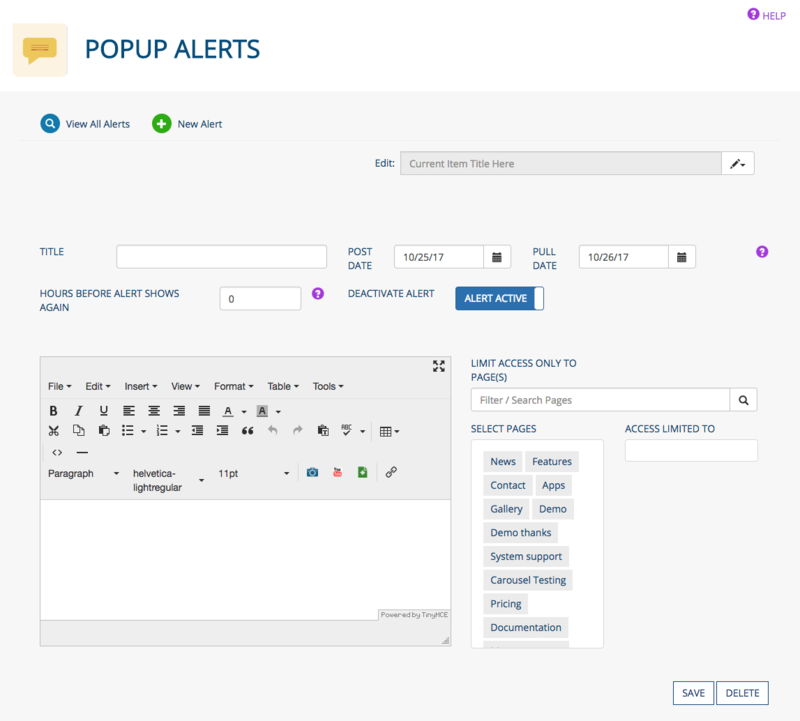 Visit the Popup Alerts app by selecting it in the app menu or by visiting the Dashboard and selecting it there. 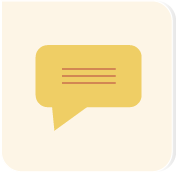 Use this app to have a special message or content pop up on a user's screen when visiting your site. Edit or delete an alert with the icons (D) at the far right. 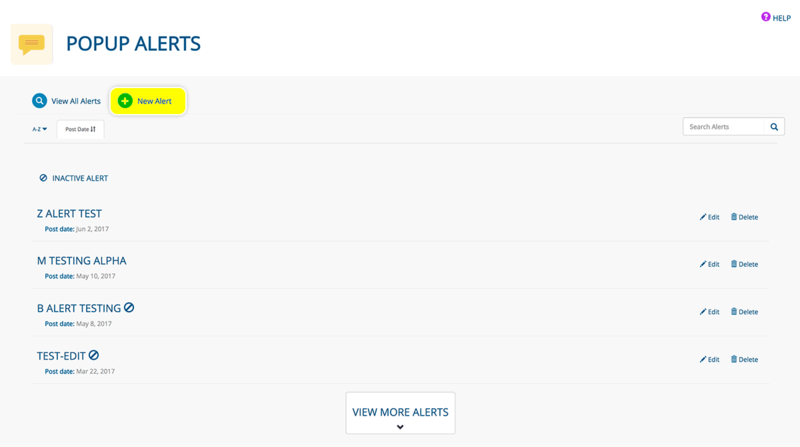 You also can edit a alert by clicking its title (E). Click the SAVE button when you are finished creating/editing your alert, or the DELETE button to delete it. 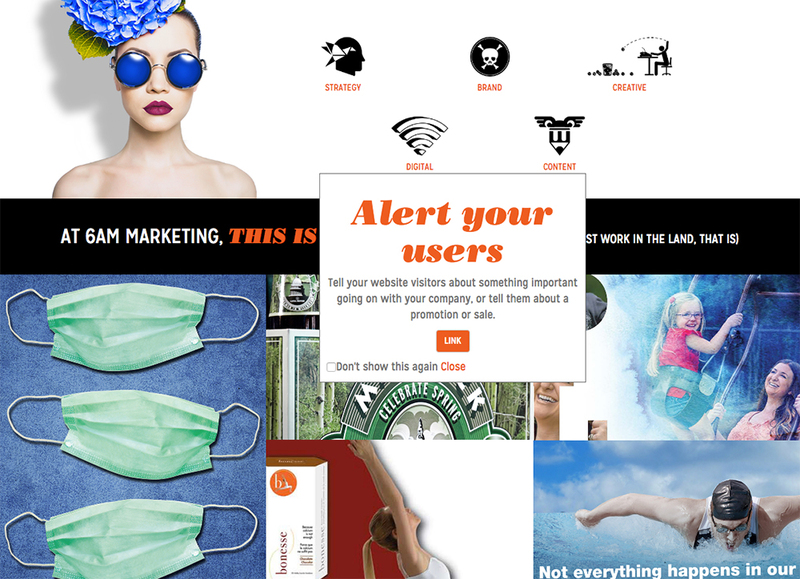 Select which pages the alert will appear on by clicking items from the SELECT PAGES box. Those pages will move to the ACCESS LIMITED TO box. Filter pages by typing in the FILTER/SEARCH PAGES input.